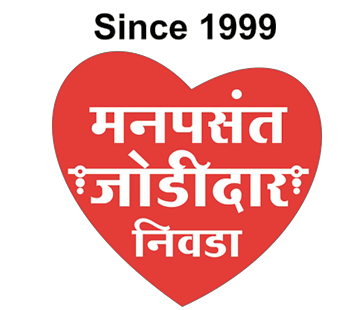 Our company "Reshim-Bandh Marriage Information System Private Limited“ has developed the matrimonial website - www.reshimbandh.com in 1999 for the Indians to find a perfect life partner quickly as per their preferences. Our goal is to provide a transparent model in which matrimonial candidate would confirm matched profiles according to their choices before paying charges, helping him/her to select a perfect life partner. Website is designed for the whole community, at the same time it maintains separate database for each caste for eg. Brahmins can view only Brahmin profiles.Website is having lot of profiles of matrimonial candidates working in metro cities and abroad. Matrimonial candidate fills Registration form in website in which he/she has to give own information with criteria about life partner. When the form is submitted, candidate gets matched profiles within seconds. Candidate can confirm number of profiles which are present according to his/her choices (preferences) in entire database and also read the complete information about matched profiles. If candidate likes matched profiles (match-list), charges can be paid. Thus online Registration procedure is fully transparent which includes complete registration at home using online payment thus saving lot of time. Different filters can be applied to our huge database for sorting out the database in different Match-lists for the perfect search as per the needs(choices/preferences) of matrimonial candidates, which saves the time in searching profiles. Director-Mrs.Kavita Deshpande is an engineering graduate (B.E. Electronics), was running Advanced Computer Training Institute before launching the website. She married to Dr.Parag Deshpande-M.Tech. (I.I.T.,Powai),Ph.D in Computer Science.